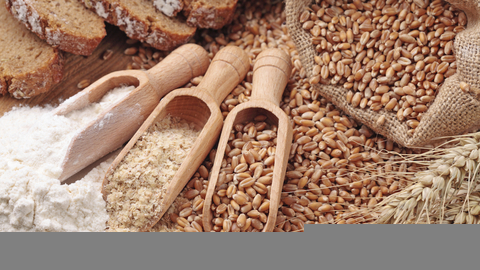 Grain yield in Ivanovo region — an average of 21.6 tons per hectare. In the farms of the Ivanovo region in the framework of the harvest removed more than 45 thousand hectares of crops, which corresponds to 69% of the plan, told RIA Novosti the representative of the press service of the regional government. "As of August 27 harvested grain 93,2 thousand tons, the average yield of 21.6 tons per hectare. The greatest amount of grain harvested farms Gavrilovo-Posadsky district — almost 40 thousand tons, new area of 12.8 thousand tons, Shuya district — 10.4 thousand tons", — said the Agency interlocutor. He added that in a number of farms in the region continues cleaning vegetables and potatoes. This year Ivanovo oblast participates in the Federal program of development of domestic flax, in which the region recovered in the crops of flax, production also started harvesting crops. Prospects of development of this direction of agriculture, as well as the establishment of processing industries, acting Governor of the Ivanovo region Stanislav Voskresensky has dedicated a separate meeting. The total sown area of crops this year amounted to about 430 hectares. Farmers who raised flax, will receive state support in the form of a grant in the amount of 10 thousand rubles per hectare of cultivated area. Next year the state will retain, and the company plans to increase the acreage of not less than two times. "Ivanovo region was famous for flax, it is not necessary to forget, you need these items to restore", — quotes the press-service of the word resurrection. For the development of the flax industry in the Ivanovo region discusses the construction of a facility for the primary processing of flax. In the presence of distribution channels inside the area farmers are willing to increase the acreage of flax in the Ivanovo region. Textile companies, in turn, are interested in the supply of quality raw materials. On behalf of Stanislav Voskresensky region will study the issue of obtaining state support for construction of a flax processing plants, in the case that the Ministry of agriculture will adopt such a program. In addition, as currently defined options of attracting funds of Federal development institutes for these purposes, said the press service.